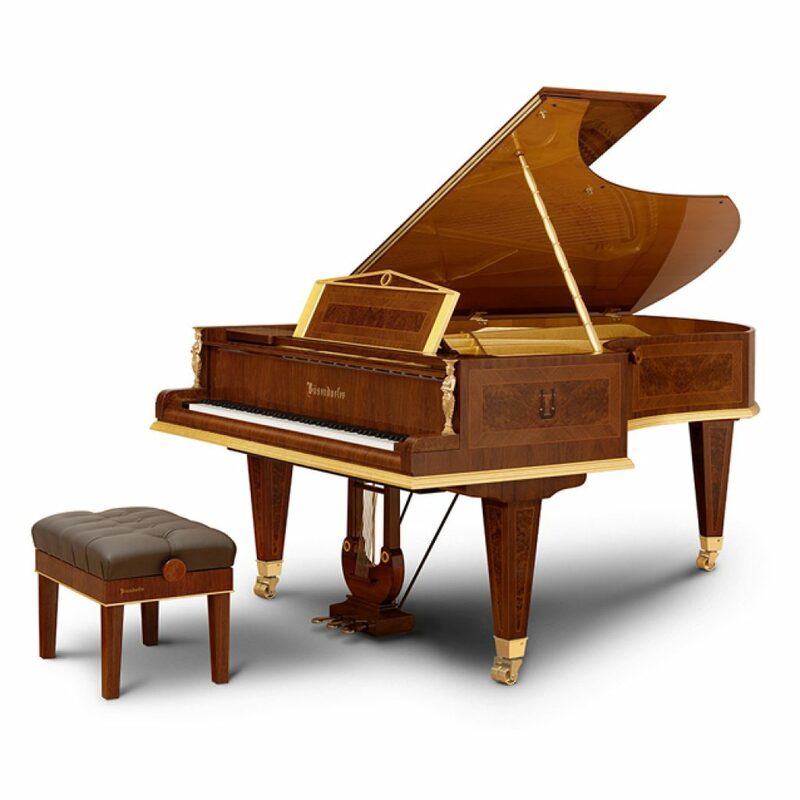 From early in our history, Bösendorfer has not only focused on making performance instruments, but also on art case grand pianos for collectors and lovers of fine design. Our Opus No. 50.000 is inspired by two instruments that were created for the 1867 World Exhibition in Paris, both of which were neo-classical in concept. One was designed by Theophil Hansen (this year is the 200th anniversary of his birth), the famous Danish architect who designed many major buildings in Vienna including the Parliament and the world famous concert hall, the Musikverein, with its extraordinary Golden Hall and Brahms Saal. The other was designed by Anton Grosser who incorporated golden caryatids, similar to the ones in the Musikverein, in his design. Our Opus No. 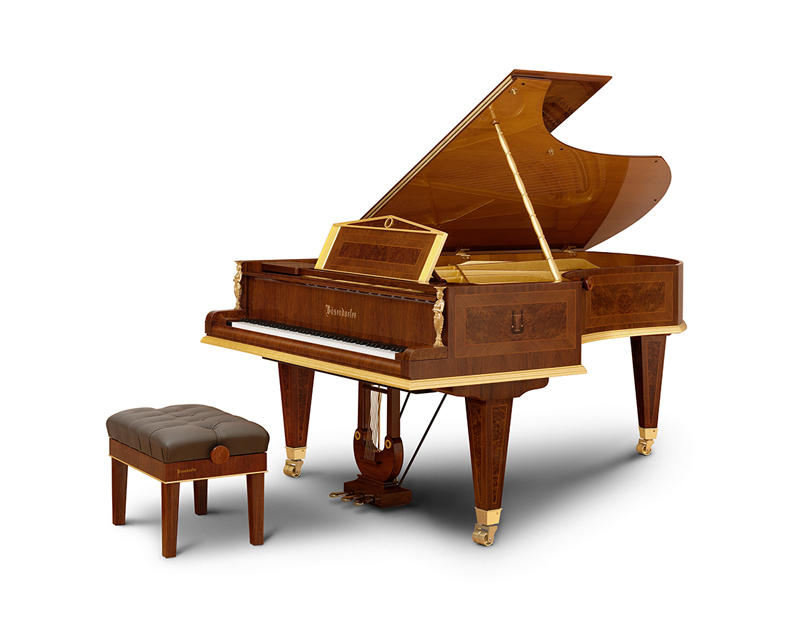 50.000 is a neo-classical instrument for the 21st century – opulent, beautiful yet not out of place in any setting.